1. Treasure your health (and your mama). Brain tumor. Two words that I never thought would become rooted in my vocabulary and daily life. When my mom was diagnosed with a plum-sized brain tumor in September, life underwent a radical change overnight. Our “new normal” consisted of MRIs, appointments with specialists, hospital waiting rooms, and taking endless phone messages. Dinnertime conversation revolved around the anatomy and function of the temporal and parietal lobes. And after my mom’s brain surgery—which, by the way, was beautifully successful, and she handled everything with such grace and bravery—I found myself thrust into the position of nurse, pharmacist, caregiver, chauffeur, and housekeeper, while balancing college finals and dealing with a sprained neck. I was running on empty. Exhausted and stressed to the core, I still knew undoubtedly that I would do anything for that sweet “patient” of mine. That’s what love is. Though this season of life has been a bit trying, it’s shown me just how much I treasure my family. Now that my mama is beginning to recover, we are so joyful. We laugh at her punk-rock haircut (half shaved, exposing a rather gnarly horseshoe-shaped incision). We joke about her fifteen prescription bottles. And, most of all, we talk with new urgency about what changes we want make in our lives and how we will more actively pursue our passions. Brain surgery has been a wakeup call for our entire family. Cherish your family, cherish your health. 2. Buy the plane ticket. Take the long drive. Part of having a non-linear college path means that my closest friends are dotted all across the country. As someone who tends to have fewer but closer friends, I’ve realized the importance of having highly intentional friendships. For me, this has meant saving my money for train tickets, or spending long, percolated hours in the thick of Los Angeles traffic—doing whatever I have to do just to get there and be with people that I love. My “love language” also happens to be quality time, so I’ve found it incredibly fulfilling to be able to see faraway friends and spend the weekend or even just the afternoon together. This intentionality in friendships has also meant more emails, text messages, and written letters exchanged (with emphasis on the latter... I love writing and receiving letters in the mail). 3. Savor the little things. Everyone goes through a period of inevitable drought, when the finances are tight, morale is low, and things feel hopeless or just monotonous. In such times, savor the small moments—the golden retriever napping next to you, a catch-up phone call with a friend, a steaming mug of something delicious paired with a well-loved book. This year, I’ve had to rely on God more than ever, and I know that he’s blessed me with an abundance of beautiful moments in return. The little things have kept me feeling joyful, blessed, and grateful for each day. 4. Forge ahead, even if you can't see (literally). With my sprained neck in November came an influx of vision disturbances—a catalyst for several MRIs, neurology appointments, ophthalmology appointments, and blood work (my family has gotten quite comfortable at the doctor's office this year!). At first it felt like life was on pause as I was waiting to heal. But my normal vision didn't return, or at least not yet, so I’ve had to learn how to adjust and forge ahead. And the crazy thing is that forging ahead has made me feel more normal; some of my symptoms have become mere annoyances that I can forget about. Although I have to take extra good care of myself, I’ve actually found more relief from pushing myself to do more, even when I don’t feel like it. Every day is much too precious to be wasted (I think that’s been one of the overarching themes of the year). As much as I advocate living in the present moment, I’ve recently found a lot of joy in letting myself just dream—of being completely impractical and getting lost in daydreams about the future. And I’ve found that it’s maybe not so frivolous after all; dreaming helps me better understand where my heart is without that pesky practicality getting the way. I dream about being an author (...without thinking about the unstable paycheck). I dream about my future vegetable garden and neighborhood and family, of the books I’ll write and the people I’ll meet. I also like to dream about the future that’s right around the corner: 2016. How will Friday, January 1st look different from today? What can I do to actively make 2016 excellent? What does this fresh, new year have in store? 2015 was a humbling year with some jagged edges, but it also was a year of wonder. I am wonderstruck at how everything—the good and the bad—worked together seamlessly in 2015. Looking back, I see God’s hand in every single moment, and I can’t wait to see what He has in store next. After all, "we know that for those who love God, all things work together for good" (Romans 8:28). This past year marked my parents’ 30th wedding anniversary. In light of this, my older brother, Kyle, and I reflected upon the life lessons our parents have instilled in us over the years. Without getting too nostalgic or saccharine, here is an A-Z list of some of our favorites. Plans change and interests shift. Be compassionate toward yourself and change direction if need be. High school, college, jobs—these are all evolutionary experiences, and adjustments are sometimes necessary. B: Be a Good Samaritan. Be kindhearted, and go out of your way to help others. Do things that make Jesus smile. I can't emphasize enough how many times I've heard this phrase. My parents were all about pushing us to do the right thing, do the hard thing, do the uncomfortable thing on our own so that we could learn (rather than them rushing to our aid and fixing all of our problems for us). D: Doing what's right is probably not the same thing as doing what's popular. I am such an unabashed rule-follower. Although rules can feel superfluous at times, they usually exist for a reason. And even though blatant defiance is "cool," it's usually not right (unless it is—use your best judgment). ...and your fruit! Especially if it comes from the garden. During her first year in a biochemistry Ph.D. program, my mom realized that although she liked science, she didn't love it. Prior to college, her parents told her she could only pursue math or science, even though her real passion was writing. So when I wanted to change majors (and then change schools), she was nothing but supportive. Stick up for others, change the subject, and walk away if need be. Gossip isn't worth the repercussions. H: Hold others to a high standard. Sometimes my brother and I can take this to extremes, but for good reason. Build a community of accountability. Hold yourself to a high standard, humbly accepting critiques on your poor judgment and actions, and do the same for those around you. Push one another to be better. I: Intentionality makes for strong relationships. Back your words and actions in careful thought and lots of love, and watch your relationships grow deeper and stronger. Admittedly, my brother is much better at this than I am (I am much more cautious, which comes with the territory of being an introvert). But when I voiced interest in transferring high schools to the brand new one, trying out for varsity cheerleading, going to college out of state (and subsequently transferring to a college in state), my parents encouraged me to try new things and say "yes." K: Keep your standards high. Don't settle—in friendships, academics, jobs, and certainly don't settle in romantic relationships. Keep heart, and keep your standards high. L: Look for the intention behind words and actions. Thinking about why people behaved the way they did makes for increased empathy and understanding. Did they have good intentions but bad execution? M: Make it a great day. My dad would always say this when he dropped me off for school (that one glorious year in elementary school that I didn't take the school bus). Make it a great day. Actively make your day excellent, rather than passively letting the day happen to you. I was rather unpopular for this in middle school and high school, as I was that one "weird kid" who wasn't up-to-speed on Pretty Little Liars or what have you. My brother and I weren't allowed to watch TV during the school week, which encouraged us to spend our time outside, in the pool, or with our nose in a book. And although I could watch TV on the weekends, I still wasn't up-to-speed on the trendy television shows—I opted for Scooby Doo, Phineas and Ferb, and Lizzie McGuire reruns. Be kind, be kind, be kind. It's so simple. My brother and I have always been encouraged to be introspective about our motivations. Why did I want to take singing lessons in the seventh grade? Because I loved to sing? Or because I wanted to be Hannah Montana? (It was, undoubtedly, the latter, and the dream didn't last very long.) I ask myself the same questions now. Why do I want to post Picture A on social media? Because I genuinely want to share it with my friends or because I'm searching for attention? Be honest with yourself about your underlying motivations. Send a card. Send a text. One minute of effort can brighten someone's entire day. S: Send thank you notes. This was such a strictly enforced rule in our household that it eventually became second nature to me and my brother. I know that I feel warm and fuzzy inside when someone sends me a thank you note, so I want to extend my gratitude to others. T: The clock keeps ticking. I hated my first "real" summer job—working retail at a beachside surf shop. The hours were long, the breaks were short, and the tourists were both plentiful and generally unpleasant. Although I felt lucky to have a job at all, I dreaded going to work every day. My mom reminded me that whether I'm having fun or not, the clock keeps ticking. Even if I was having a lousy time, I could trust that the seconds were still ticking by, one step closer to closing time. U: Understand the opposing point of view. Be it small disagreements, political debates, or the world religions, understanding the other side is extremely valuable. While this understanding may help you better argue your case, it can also deepen your feelings of empathy toward the other person/party. V: Verbalize (“use your words”). I was, admittedly, a bit of a quiet pouter when I was little. Instead of sticking out my lower lip and sulking, I was encouraged to "use my words" and verbalize what, exactly, was upsetting me. As an INFJ and an HSP, I tend to feel and think deeply and internalize those thoughts and feelings, so the reminder to use my words is still significant. Growing up in a family of swimmers (sans my dad), slathering up in orange-scented sunscreen was part of the daily regimen (and for good reason: skin cancer runs in the family). Early to bed, early to rise. As you can see in the photo below, we have always taken our naps very seriously (I was three; Kyle was seven). The little window between 5 and 9am is incredibly peaceful and substantially joyful. While the rest of the world idles in deep sleep, you rest in the quiet comfort of morning stillness. Reap the benefits of a few uninterrupted hours, knowing that your cell phone can stay tranquilly tucked away, and your mind can contentedly latch onto your latest project. No distractions—just you, productive work, a steaming mug of coffee, and the rising sun. 2. Fuel your body with the good stuff. Growing up in San Diego, I couldn’t help but slip into the wonders of organic produce, farmers’ markets, and cold-pressed juices as well as the heavenly call of Whole Foods, Jimbo’s, and Sprouts. While in Texas, peers say that I’m “so Cali” for the way I eat (side note: I will cringe if you say the word Cali), but I’m simply dedicated to treating my body the way it deserves to be treated! Daily meals of chicken fried steak and butter-infested mashed potatoes are just not the answer for me. When I’m feeding my body kindly with dark leafy greens, gluten-free super seeds like Quinoa (yes, friends, it’s a seed and not a grain), and the pure goodness of a tall bottle of Suja Juice, I feel healthy, happy, and motivated to take on the day. Spilling with incredible fruits and vegetables, Suja Juice is a San Diego-based company that cold-presses their ingredients, resulting in crisp and clean goodness. While I’m a firm believer in juice cleanses (more on that later, perhaps? ), I love to drink Suja as a snack or meal to replenish my body and soul and replenish vital nutrients. My favorite is Fiji: 2 apples, 6 celery stalks, ½ of a cucumber, a handful of spinach, 3 collard greens, 3 kale leaves, a squeeze of lemon and a hint of ginger. How sweet is that? I’m an explorer. I crave a constant change of surroundings, and thus can be infected with fidgety, squirmy, cabin fever,where all I can think to do is lace up my running shoes and get out. Especially on a college campus, I find so much comfort in neighborhoods—walking through them, running through them, or just playing football in their little parks. Exploring the pockets of southern mansions and college cottages brings me so much joy. Plus, there is something about being in touch with the world and under the stretch of sky that both refreshes and inspires my soul. My best thinking is done while walking. Get up, lace up, and get out. While my intent is not to be motherly, drinking plenty of water and staying hydrated is a complete game-changer for me. I drink water like it’s nobody’s business. While I’m not so bold as to carry a giant jug, my Camelbak goes with me everywhere. Like a baby blanket to a child, I feel lost without my water and refuse to go anywhere without my tall, blue, plastic container of wonderful. Your health will thank you, your skin will love you, and your mood will improve. Water cures much. 5. Keep the bed sacred. Living in the dorms last year, my bed became my life. If I wasn’t at my desk, I was tucked into bed at any and all times of the day. It was my eating spot, my homework cocoon, and just my complete dwelling place. In a dorm, you don’t have much choice—unless you enjoy being glued to your rolling chair at all hours of the day, the bed is the only other spot that’s completely yours. As a sophomore in my own apartment, I began this year with the same mindset—the bed is a lifestyle. I quickly learned that not only am I incredibly lazy and unproductive in bed, hanging out in the depths of the fuzzy covers was majorly affecting my sleep at night. I had confused my body. No longer did curling up in bed in the evening signal to my mind that it was time to unwind; since I was constantly chillin’ in the covers, my internal clock had no idea when to settle down and sleep deeply. Since this bittersweet realization, I’ve kissed my comforter goodbye and now make my bed as soon as I wake up. As a slight (AKA major) perfectionist, once my bed is made up to fluffy excellence, I cannot even bring myself to wrinkle the flawless cloud of cozy. Thus, going to bed at night is extra special and peaceful, and I sleep like a little baby : ) . 6. Pray like it’s a conversation. So often I slip into the droning familiarity of, “Thank you for ___, help me with ___,” and I tune out of my own prayers. When I was little, I would pray with my mom every single night, repeating, “Dear Lord, please put your shield of love and care around us.” I repeated the phrase so many times that after a while I didn’t even process the request. Now since I live alone, I love to talk to myself (confessions...), sing constantly, and read out loud. I’ve recently begun praying aloud in the style of how I would speak if I were on the phone with my mom or dad. I just update Him on life, talk to Him about my day, and speak about my fears, joys, trials, and triumphs. I feel so much more invested in my relationship with Christ when I speak out loud, and the contrast of the complete stillness after my prayer is absolutely amazing. Sitting in complete quiet after I talk to Him blankets me in noiseless peace; I can hear His voice more clearly and differentiate it from my rambling thoughts. 7. Pay for the person behind you. I’m smiling as I write this. Once at In’N’Out, I drove up to pay for my meal (hamburger, cut in half, + Neapolitan shake—always), only to hear that the sweet man in front of me paid for my meal already. It was such a complete delight. Although I could have easily spared $5, the joy stemming from his kindness meant so much to me, I swear I cried a little. I haven’t gone out to eat since it happened (refer to #2), but I am itching to pass it along. The little things are the best things. 8. Tuck love notes around your city. I have a massive crush on More Love Letters. (Is it possible to be in love with an organization?) MLL is an amazing group that inspires people to write encouraging and uplifting notes and scatter them around their city. The notes aren’t the mushy “Notebook-esque” love letters (which kind of make me want to vom), but are just raw, positive, inspiring notes scripted with careful thought. Although I’ve never found one of my own, I can visualize the overwhelming joy I would feel from reading that a stranger thinks I am valued, wonderful, smart, and enough. I like to do this in airports, leaving them tucked away in the restroom. No one can resist an envelope labeled, “for you: yes, you!” The organization has a list of do’s and don’ts of letter writing, and asks that their URL be scripted on the envelope so the receiver can read up on the concept. It’s such a beautiful way to love on everyone and to gently shake the world (thanks, Ghandi). Oh my. 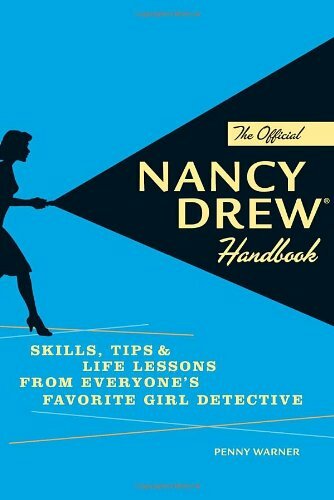 I cannot even tell you the number of times that I’ve happily revisited any given Harry Potter, Nancy Drew, or Callahan Cousin book. These texts are so dear to me, and cracking them open is like revisiting another world to which I belong. The characters are my friends, and Hogwarts, River Heights, and Gull Island are each my home. It’s so wonderful to melt away into an old favorite for a while. If you’ve been reading The Little English Girl for the past two years or even just this month, you’re probably noticing my not-so-subtle love for keeping my phone off. In a world so focused on constant texts and calls, coupled with the importance of responding only moments later, it can seem radical to advocate going cell-phone-free for even five little minutes. However, this does wonders for my productivity. Completely powering off my little white rectangle of iOS7 innovation is the only way I can really tune into whatever project I’m working on, or new business I’m dreaming up at the moment (ah, the joys of entrepreneurship), thus leaving me inspired and joyful. Radical. 11. Buy yourself a little somethin’. Retail therapy is the sometimes-answer; when done in moderation, buying a little something can absolutely generate happier mood, even if it's a tiny, steaming cup of coffee. My favorite purchase recently was from Amanda Catherine Designs on Etsy—lovely pencils white pencils with gold engraving (She has charm. She has wit. She has gumption). I was talking with a friend over coffee the other day, and she spoke to how she’s been dreaming too small. We fantasize about finding the perfect job, husband, or little house, when we could have that and shake the world. Dream bigger. Stop limiting yourself with picket fences and tire swings and aim for what you daydream about. Think back to those scenarios you play in your mind as you fall asleep (we all do it). What is the heart of what you want out of life? Chase after it. Don’t stop running until you’ve reached the path for success, and even then keep pushing forward. If you want something out of life, then give this life something of you—your time, energy, effort, heart, and passion. 13. Expand your horizons, friend-wise. I love networking. One of the greatest joys in life is friendship, but I would be willing to argue that the happiness cultivated by meeting new friends and pouring out into them is just as sweet as continuing to invest in an already-tight-knit group. I’ve been really tested by this concept this year, and am beginning to find that my closest friends are scattered all over campus—no longer am I solely looking within my dorm or sorority or major to provide me with a group. It’s a combined effort. My most satisfying friendships are with people in different sororities, clubs, majors, and teams. Variety is truly the spice of life, for each of these people bring something different to the table. Little groups can be a safe harbor, but if you solely stick to “your people,” you may be at risk for missing out on a lot of other really wonderful friendships. Lastly, I truly feel that the most foolproof way to have a joyful day is to focus on allowing God’s love to shine through you. Approach the day with a servant’s heart, ready and willing to be a light to the world. Seek first the Kingdom, eager to please the Lord with your actions and words. Harvest joy by delighting in Him. Lately I've slipped into a lovely little habit of keeping random lists on my iPhone, and adding to them whenever inspiration strikes. One such list has grown exponentially. The list is a collection of my favorite things (slightly reminiscent of Julie Andrew's infamous song), and it makes me absolutely giddy each time I read it. It's almost funny how completely me I am--I know what I like, and and know what I don't. This quiet assurance and knowledge truthfully is a tightly woven blessing and a curse. Though I am confident in who I am, reading my little list illustrates to me (and consequently all who read it) how different I am than the "common college student" or "stereotypical sorority girl." And honestly, this makes me a little anxious sometimes. It's easy to fit in and difficult to stand out. Individuality takes guts, but I do think it's something to celebrate wholeheartedly.